Digital Hollywood at the Lowe's Hotel in Santa Monica, CA is usually a must-attend events if you're in the digital music business. The event always has a number of simultaneous sessions (although 4 at the same time seems to be too much of a good thing) with a variety of movers and shakers from various parts of the digital world. Although the panels can be interesting, it's the business that's done in the hallways that keeps attendees coming back. Like most conferences, Digital Hollywood is a reflection of the pulse of the economy, both generally and specifically the digital sector, and this years conference seemed pretty upbeat despite quite a number of previously employed attendees now looking for work. The feeling at DH was that the economy appears to have bottomed and is on the upswing, but everyone and every company is playing things lean and mean and still expecting some hard times before things get better. No blockbuster news or observations on DH, but it was the 3rd conference in a row that I've been to that has been generally upbeat, after the near moribund CES show in January kicked the year off. Let's hope everything continues on this current path for the better. A recent study by an unnamed music service (speculation is it's the iTunes store) states that of their 12 million songs, 9 million didn't sell a single copy last year. This flies against the wind of The Long Tail theory, which states that consumers will by more catalog than hits if it were available, the catalog being "the long tail." Economists who never bought the theory to begin with are now dancing on it's grave. in order for people to purchase items in the Long Tail, the items must be easy to find and easily available. the items in the Long Tail must be priced attractively, something that iTunes or any other digital service hasn't done until now. As a result, I think that before the naysayers dismiss this theory, they must give all facets of it a chance work. With variable pricing now coming to most digital stores, we can see shortly how price affects sales. It's that "easy to find" part that's probably going to prove problematic. Next week congress will vote on the Performance Rights Act (officially H.R. 848), a bill that would grant a royalty to the recording artist (not just the songwriter) when a record is played on the radio. This bill has huge implications for the future of both music and radio, although it's not getting the amount of press that it deserves. Despite popular belief, record artists do not get paid whenever their songs are played on the radio. 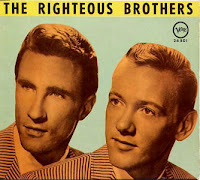 The Righteous Brothers never saw a single dime for You've Lost That Lovin' Feeling, which is the most played record of all time at over 8 million (Barry Mann, Cynthia Weil and Phil Spector got paid as writers of the song). The Association never received a penny for Never My Love, nor did Johnny Rivers for his version of Baby I Need Your Lovin' (both in the top 10 of most played songs at over 7 million plays each). The writers of those songs got paid very well though. The bi-partisan Performance Rights Act aims to end that though, and compensate recording artists for their radio popularity. Not surprisingly, the National Association of Broadcasters (NAB) is heartily opposed to the measure, stating that in this time of economic downturn, the last thing they need is more money taken from the till. The fact of the matter is that the United States is the only country in the world where performers currently are not compensated for airplay, and the broadcasters have gotten incredibly fat over the 75 years they've had a free ride. Very small commercial stations (the ones who would feel the brunt of this act the most) would pay a flat fee of $5000 per year. Non-commercial stations like NPR and college stations would pay $1000 per year. Religious stations would be completely exempt. But commercial stations that play music as their main programming source would pay a single negotiated fee per year that would be divided between the artists and their record labels similar to the way they currently pay publishing royalties to ASCAP, BMI or SESAC. How much the artists would actually see after the labels are paid are grounds for discussion in another post, but any payment is better than the zero $$ currently received. The NAB is painting artists as greedy for wanting more, saying that they (radio) are the ones that have actually been helping the music industry all these years. But the truth of the matter is it's time to pay the piper. The radio industry has always had it's own self-interest in mind and always will. They're not doing any artists any favors right now, and a tiny piece of the action will go a long way for recording artists well past their prime. Newer artists shouldn't expect a whole lot out of this bill unless they have a big, big hit, however. And hits like that are pretty much non-existent these days. Still, a small piece of something is far better than the big piece of nothing they've been getting all these years. Preliminary reports from the major record labels indicate that the variable pricing on digital downloads they've desired for so long may be backfiring. It's early yet (only a month since it's been instituted), but so far pricing any track at $1.29 has affected sales in the wrong direction. It's true that you can make more money with fewer sales with an increased price, but that's not what's happening as initial indications are that anything priced at $1.29 is actually losing money as compared to when it was priced at $.99. What's even worse is that there are indications that the price increase is actually forcing consumers to look for free options instead of buying anything at all. Everyone in the industry-know cautioned that variable pricing would set a bad precedent and make a business already falling off a cliff even worse, yet the majors wouldn't take no for an answer. As a result, an industry that's already dying from a thousand small cuts may finally take one in the heart. 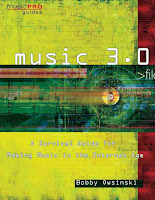 In my upcoming book, Music 3.0 - A Survival Guide For Making Music In The Internet Age (published by Hal Leonard and expected out by the end of the year), I explore many of the topics that have come up here in the blog in recent weeks, from the Economy of Free, Social Media Marketing, Social Media Management, the Theory of 1000, the Long Tail, and a few more. But what exactly is Music 3.0? 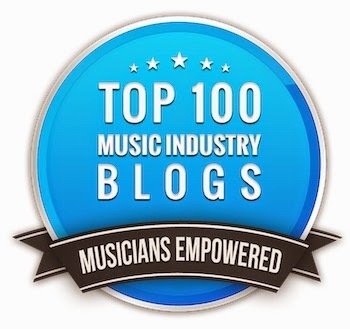 In it's most basic, M30 (an acronym for Music 3.0 pronounced "M three - oh") is the era that the music business is in right now, the most recent of the five ages of the music business. M30 is the first time that an artist can actually directly market, sell and interact with his fan base. Music 1.0 - the first generation of the music business where the product was vinyl records, the artist had no contact directly with the record buyer, radio was the primary source of promotion, the record labels were run by record people, and records were bought from retail stores. Music 1.5 - the second generation of the music business where the product was primarily CDs, labels were owned and run by large conglomerates, MTV caused the labels to shift from artist development to image development, radio was still the major source of promotion, and CDs were purchased from retail stores. Music 2.0 - the third generation of the music business that signaled the beginning of digital music, piracy ran rampant due to P2P networks but the industry took little notice as CD sales were still strong from radio promotion. Music 2.5 - the fourth generation of the music business where digital music became monetized thanks to iTunes and later, others like Amazon MP3. CD sales dive, the music industry contracts and retail stores close. Music 3.0 - the current generation of the music business where the artist can now communicate, interact, market and sell directly to the fan. Record labels, radio and television become mostly irrelevant and single songs are purchased instead of albums. In coming posts, we'll discuss M30 more and more as well as the impact it has on the business and the strategy required for an artist to navigate it. In another example of the new way of doing business in today's music world, Coldplay is giving away LeftRightLeftRightLeft, a new 9 track CD. There is a catch though, you have to buy a ticket to one of their upcoming shows to get it. Actually, another way to look at it is that if you buy a ticket, you get a free CD. The release will also be available as a free download on the Coldplay website and will contain versions of Coldplay hits like "Clocks", "Viva La Vida" and "Fix You". The way I look at this is that Coldplay could've just made this their next release and charged their fans for it, but instead basically chose to give it away instead as a perk for buying a ticket. It's a great example of the economics of free in that it gets them press for their upcoming tour (we're talking about it now) and provides a nice little reward for fans too. Plus it didn't cost them much in terms of production since it was a recorded live show, and the cost of pressing the CD and artwork will no doubt be built into the ticket price. This is a great example of the way business should be done in Music 3.0.